This is the first time that Olympiacos have hosted Nizhny but they managed to defeat their Russian opponents by a score of 82-91 in their earlier meeting in the Top 16. This season is the first time that Olympiacos have managed to grab 10 wins in the Top 16, and they will be keen to end this part of their season on a high. However, they will have to face the top scorer of the season so far in the shape of Taylor Rochestie, who has been in excellent form for the Russian side. The Greek side have a 17-6 record in the Euroleague this season, which comes with an 8-2 record in the regular season and a 9-4 record in the Top 16. Their opponents haven’t been as strong, sitting with an 8-15 record this season. Nizhny achieved a 5-5 record in the regular season and so far they have experienced a 3-10 record in the Top 16. 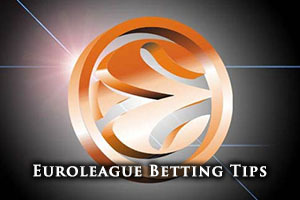 They will be bowing out of the Euroleague this season tonight but they will be keen to grab a great result if they can. With respect to average points scored, it is the Russian side that holds the advantage, sitting with a 78.9 record compared to the 75.9 record held by Olympiacos. Both of these teams have players that they can rely on to grab points. For the home side, Vassilis Spanoulis has been in excellent form and he has an average of 15.5 points this campaign and an average of 5.9 assists per game this season. Spanoulis has missed the last three games for Olympiacos but they will be keen to get him back for this game. Bryan Dunston has also been in fine form, offering up an average of 5.0 rebounds per game this season. For Nizhny, Taylor Rochestie has been a man on fire, providing an average of 18.9 points per game this season as well as providing an average of 5.7 assists per game. Trey Thompkins has also been in fine form, delivering an average of 8.3 rebounds per game for the Russian side. 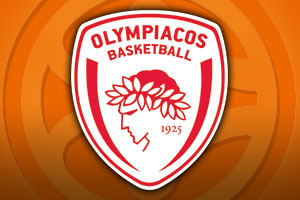 Olympiacos are sitting pretty at the top of the Greek league with a 21-1 record. Their most recent game in the Euroleague was a 70-87 win over Koroivos. As for Nizhny, they are currently sitting in fourth place in the Russian league with an 18-8 record. They are well off the pace being set by CSKA Moscow which stands at a 25-3 record. The most recent domestic game for Nizhny was an 83-75 loss away to the runaway leaders CSKA Moscow. As plenty of teams in the Euroleague have seen this season, there is no real shame in losing to CSKA. It does look set for the home team to win this game and taking Olympiacos with a -8.5 handicap, at odds of 1.90, should ensure that you have something to smile about come Friday evening. There are always punters looking to take advantage of the Overs/Under market and if this appeals to you, go OVER 158.5 at odds of 1.90, If you would like to watch Olympiacos Piraeus v Nizhny Novgorod live on Friday the 10th of April 2015, we can help you out. Bet Now!